This page is about the Italian tank destroyer 105/25 M43. For premium version, see 105/25 M43 "G.C.Leoncello". The Semovente 105/25 M43 is a Rank III Italian tank destroyer with a battle rating of 3.3 (AB/RB/SB). 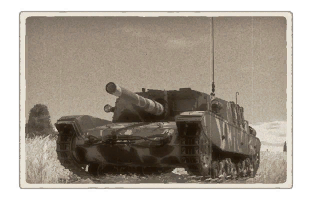 This vehicle was introduced in Update 1.85 "Supersonic". Skin and Camouflages for the 105/25 M43 in Warthunder Live.